This piece was originally published on East Wind ezine, a new online journal looking at Asian Pacific American politics. East Wind ezine has a number of recent pieces looking at APA involvement in the midterms, and we encourage readers to visit the website and dig in. All over the country, Asian Pacific American activists participated in the all-out effort to beat back Trump and take back theHouse of Representatives on November 6. Not only did the Democrats exceed the goal of flipping 23 seats (votes are still being tabulated in several close races and the Dems may gain up to 34 seats), but they also made tremendous headway mobilizing new voters in red states such as Texas, Georgia and Florida with dynamic progressives Beto O’Rourke, Stacey Abrams and Andrew Gillum running for U.S. Senate and the Governorship of Georgia and Florida. Perhaps the most anticipated and rewarding outcome of the 2018 mid-term elections was the electrifying victories of women. 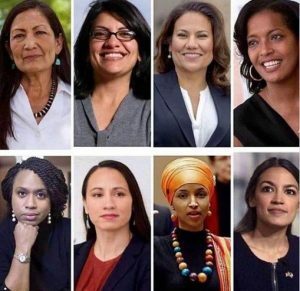 Some of the historic firsts include Native American female representatives Sharice Davids (D-Kansas) and Deb Haaland (D-New Mexico) and Ilhan Omar and Rashida Tlaib, two Muslim women elected to Congress from Minnesota and Michigan. Alexandria Ocasio-Cortez (D-New York) became the youngest member elected to Congress. Deb Haaland, Rashida Tlaib, Veronia Escobar, Jahana Hayes, Ayanna Pressley, Sharice Davids, IIhan Omar, Alexandria Ocasio-Cortez – all newly elected Democrats to the U.S. Congress. When Congress convenes in January 2019, there will be 118 women representatives, up from 107, and most of them are Democrats. Female candidates flipped two-thirds of the districts won by Democrats. Eleven women senators were elected, nearly all of them were Democrats. This was a sweet deliverance from the fruits of labor of millions of women and male allies in the historic marches of January 2017 and 2018. The impact of #MeToo and historic underrepresentation of women in state and federal legislatures led thousands of women, many of whom were not career politicans, to run and win office. Asian American women also won at the state levels: Tram Nguyen elected to the Massachutes legislature, Padma Kuppa, the first Indian American elected to serve in the Michigan state house, and Anna Esakamani, the first Iranian American elected to serve in the Florida state legislature. Democrat Lou Leon Guerrero, a Chamorro businesswoman, became the first female governor of Guam. We are pleased to present some observations on key races by Donna Wong on the Abrams campaign in Georgia, Mark Masaoka on the Gil Cisneros for Congress campaign in California, Alex Hing on the Max Rose campaign in New York, Timmy Lu from the Asian American Pacific Islander Civic Engagement Fund, and Michael Liu from Boston’s Asian American Resource Workshop. See their commentaries by going to the home page of East Wind ezine. I will focus this commentary on some of the races we discussed in my October post, “Fight Back! APAs and the November midterm elections” and offer some observations on the challenges going forward to 2020 and beyond. The good news is voters flipped many of the districts we cited with significant APA populations. Here’s a quick round-up. Three congressional districts with significant APA populations were flipped from Republican to Democrat. In Congressional District 10 (Modesto), Democrat Josh Harder is leading in the final tabulation by 3,000 votes over GOP incumbent Jeff Denham. In Congressional District 48 (Huntington Beach). Democrat Harley Rouda beat 30-year incumbent Dana Rohrabacher. In Congressional District 49 (San Clemente), Democrat Mike Levin prevailed over Republican Diane Harkey in a district vacated by GOP Darrell Issa. Ballots are still being counted in two other close races. In Congressional District 39 (Fullerton), the race between Democrat Gil Cisneros and Republican Young Kim is going down to the wire with Kim holding a narrow lead of 3,800 votes. Nearly 300,000 ballots are yet to be counted. Mark Masaoka comments on this campaign (here). In Congressional District 45 (Irvine), GOP incumbent Mimi Walters holds a slight lead over Democratic challenger Katie Porter, a law professor. Democratic challengers T.J. Cox, a Filipino American, and Andrew Janz, a Thai American, failed in their challenges to GOP incumbents in CD 21 and CD 22 respectively. Democrat Lucy McBath scored a major victory over GOP incumbent Karen Handel in CD 6, a suburb of Atlanta. APAs are 15% of the district and they participated actively to support McBath’s platform on gun violence and health care reform. Democrats could pick up another seat if Democrat Carolyn Bourdeaux narrows the 890-vote gap with GOP incumbent Rob Woodall in CD 7. 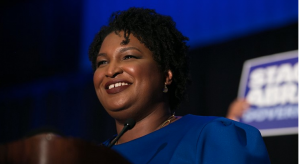 Both McBath and Bourdeaux benefitted greatly from the increased voter turnout generated by the enthusiastic response to Stacey Abrams bid to become the first African American, female Governor of Georgia. 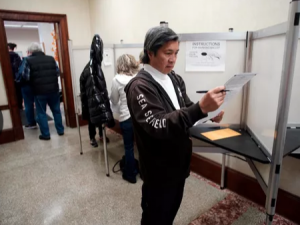 Votes are still being counted in that race amid huge controversies over voter suppression tactics waged by state and county officials. See Donna Wong’s commentary on the Georgia situation. 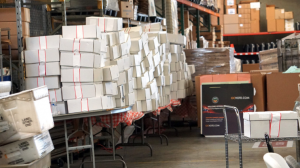 As we upload this article, Abrams is pressing state and county officials to count all provisional ballots, which could trigger a Dec. 4 run off election. Democrat Sean Casten beat GOP incumbent Peter Roskam by 4% with an explicit anti-Trump message in CD 6 (Chicago suburbs). Democrat Haley Stevens prevailed over Republican Lena Epstein, the former co-chair of the Trump campaign in Michigan. Congressional District 11 (Detroit suburbs) had been held by Republican Rep. David Trott since 2014. Democrat Tom Malinowski beat GOP incumbent Leonard Lance in CD 7 (western New Jersey) and Democrat Andy Kim holds a narrow lead in CD 3 over GOP incumbent Tom MacArthur. Democrat Lizzie Fletcher beat GOP incumbent John Culbertson, who held the seat since 2001. Votes are still being counted in CD 23 (western San Antonio) with Democrat Gina Ortiz-Jones just 600 votes behind GOP incumbent Will Hurd. Democrat Sri Preston Kulkarni ran a strong campaign but failed to win CD 22 (South-Central Houston suburbs). Gina Ortiz-Jones is holding on in a tightly contested race for Congress. Democrat Dr. Kim Schrier beat Republican Dino Rossi to become the first Democrat to represent Congressional District 8 (eastern Washington). These victories represent just the beginning of a long-term effort to sink progressive footholds in formerly Republican-dominated districts. There is no doubt that these newly won districts will be heavily contested in 2020. Let’s take a moment to savor some of the tremendous gains made in the mid-term elections. Yes, the victories that led to the Democrats taking back the House of Representatives are certainly sweet. But the really important thing to focus on is HOW these victories were achieved. 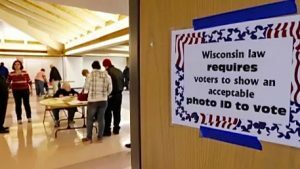 There was clearly a substantial surge of voter participation based on strong anti-Trump sentiments. The New York Times estimated that voter turnout in 2018 was 114 million voters vs. 83 million in the mid-term election of 2014. In generic match ups between Democrat and Republican house candidates, voters favored Democrats by 7%. According to the AAPI Civic Engagement Fund’s poll, Asian Americans favored Democrats over Republicans in the House races by 70& vs. 25%. When asked about Donald Trump’s policies, 59% of respondents attested that Trump’s policies were harmful to Asian Americans. 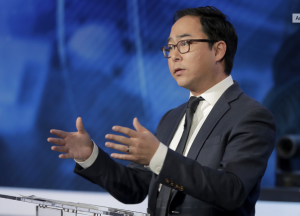 The Asian American Legal Defense and Education Fund’s poll showed that 65% of Asian Americans polled disapproved of Trump’s performance as president while 21% approved. Destructive, useless, mean, bullying, oaf aka da DUMBO in Chief. 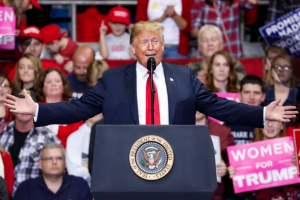 Trump crowed repeatedly that even though he wasn’t on the ballot, the midterms would be a referendum on him. Indeed, it was. He was rejected in many suburban districts but prevailed in rallying rural and red-state voters to flip three U.S. Senate seats. He is still a powerful force but he has lost support among independent voters and women. Other highlights from exit polling point the way to future victories. According to the National Election Pool (NEP) exit polls as reported by Halpin and Teixeira in The Daily Strategist (Nov. 9, 2018): Young voters may not have increased their share of voters, but, according to the NEP exit polls, they were very pro-Democratic this year, increasing their support for Democratic candidates from +11 in 2014 to +35 this year. They also noted “women went heavily for Democrats with a +19 margin in the NEP exit polls, while Republicans had a +4 margin among men. Comparable figures for 2014 were +4 for Democrats among women and +16 for Republicans among men.” There is still a gender gap, but the numbers are going in the right direction for Democrats. The way to solidify these gains among young voters and women is to champion their issues in-between elections. That’s why a vigorous effort to deal with student loans and continuous vigilance on women’s right to choose, pay equity and sexual violence must be championed inside and outside of the electoral arena. The key factor in pushing Democratic turnout to new heights in the midterm elections was the organizing by independent groups like Indivisible, Swing Left, Sister District, Working America, Democracy in Action, ACLU People Power and others. These groups supported the Democratic candidate in local, state, and federal races and sent thousands of volunteers into the campaigns. In a similar vein, independent fundraising for candidates via Act Blue reached record levels – $564 million raised from January 2017 to Sept. 30, 2018 or 55% of all the contributions raised for Congressional candidates. The average donation size is $11.00. Raising the bulk of a campaign’s budget from small donations changes the landscape for progressive efforts, making challenges not only feasible but super competitive. 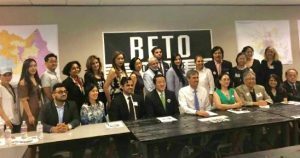 Democratic senatorial candidate Beto O’Rourke meets with APA supporters. What will happen to the hundreds of thousands of volunteers who stepped up in 2018? Many have no strong love for the Democrats as the Democratic Party still only offers token investments to the efforts of people of color and youth. Most of them are horrified by Trump and the rightwing and are looking for answers. Many of them were energized by the Bernie Sanders campaign in 2016. There is a tremendous opportunity for the social democratic left to win over these new activists, but that requires jumping into the electoral fray and leading by example. In the months ahead, the debate over who should become the Democratic presidential nominee and whether the Democrats need to follow a more moderate path in order to win over Republicans and independents or energize and expand the electorate via a progressive platform will rage. To those who fall in the progressive camp as I do, the ultimate proof is to win elections at the local and state level and build up the progressive base. Check out Steve Phillips commentary, “Do the Math. Moderates Cannot Win in 2020” in the New York Times. He points out the tremendous impact progressives can have even if they do not win the first time out. The Democratic Party is still heavily dominated by corporate interests and its mild reform efforts show that the party establishment is incapable and unwilling to abandon its masters. However, until progressives are strong enough to launch an independent party, the tactic of pushing the Democratic Party forward as a way to blunt the rightwing remains not only practical but also essential. And this issue of moderate vs. progressive ultimately comes down to the candidates and how they win over voters in their districts. 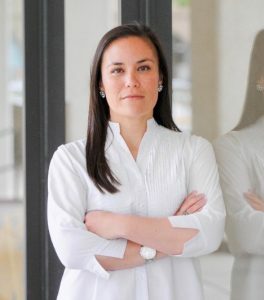 I find it heartening that in Kansas a moderate Laura Kelly beat blowhard reactionary Kris Kobach for Governor while outspoken progressive Native American lesbian Sharice Davids trounced a four-term GOP congressman in CD 3 by 9 percentage points. There’s room for moderates and progressives to work together and win. Democrats need to agree to disagree and then put it to the test at the polls. As I see it, the challenge ahead is to build progressive infrastructure everywhere we can, but especially in key states that were narrowly won by Trump in 2016 – Wisconsin, Michigan, Pennsylvania – and in key states such as North Carolina, Arizona, Texas, Georgia, Nevada, Colorado, Ohio, which are always in the mix for the presidential races. For all the groups that sent volunteers parachuting into swing districts, the challenge will be to take a forward looking view and find ways to support local leadership development in those districts whether via fundraising or shared resources. Pushing the Democratic Party to invest more in voter education and new voter mobilization would also be helpful. The stakes are just incredibly high for 2020. The prospect of a second Trump administration produces an instantaneous gag reflect. As I write this piece from Oakland, CA, the skies are filled with billowing grey/blue smoke as the devastating Camp Fire rages on with no end in sight. Climate change can’t get any more real than this, but bought off politicians continue to be shills for the fossil fuel corporations. We need real change NOW. Getting rid of Trump won’t end the slide to fascism as those tendencies are already firmly in place in the U.S. and across the globe, but defeating Trump in 2020 will give us all a fighting chance to expand the movement for true democracy. Gaining control of the House and Senate in 2020 will be very tough, but it is a way to fight to reverse reactionary immigration laws, curtail the cutbacks on human rights and social services, and stop voter suppression. The future of the judiciary also lays in the balance. These are fights worth waging and winning. So it’s onward to 2020 with hope in our hearts and a will to win. We made gains on Nov. 6, but this is only the beginning of a long, long battle to reclaim our country, protect our democracy, and fight for a just future. 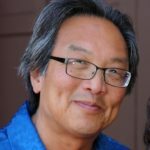 Eddie Wong is the editor and publisher of East Wind ezine.